The MetalCloak JK Wrangler Rear Dana 44 Differential Skid Plate (DSP) protects the rear differential from whatever the trail may throw at you. MetalCloak's laser cut, 7 gauge, Rear Differential Skid Plate easily bolts on to keep your Jeep sliding over the terrain and ensures that your differential is saved from damage. Gold Zinc coated for additional anti-rust prevention. Dragging your rear differential on the rocks when off-roading is going to happen; be prepared BEFORE you wreck your JK differential. 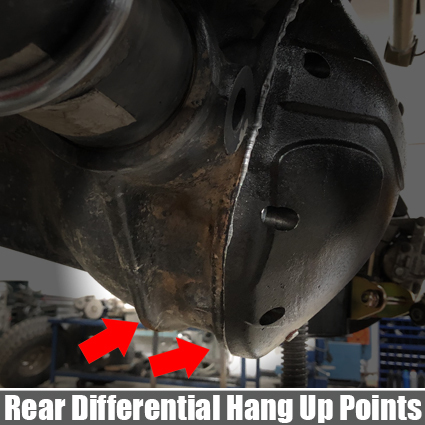 The first ridge is to strengthen the differential, the second is the mounting location for the differential cover; you DO NOT want to damage these locations. 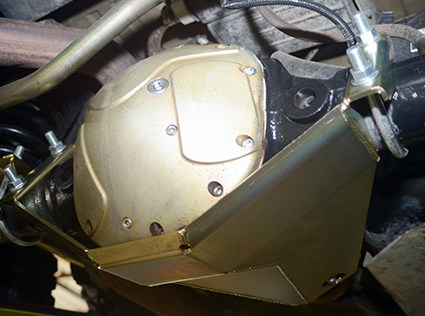 The MetalCloak Differential Skid Plate (DSP) encases the vulnerable hang up locations with 7 gauge steel, providing a smooth and protective surface to glide over the rocks. Protection with a simple bolt-on solution.